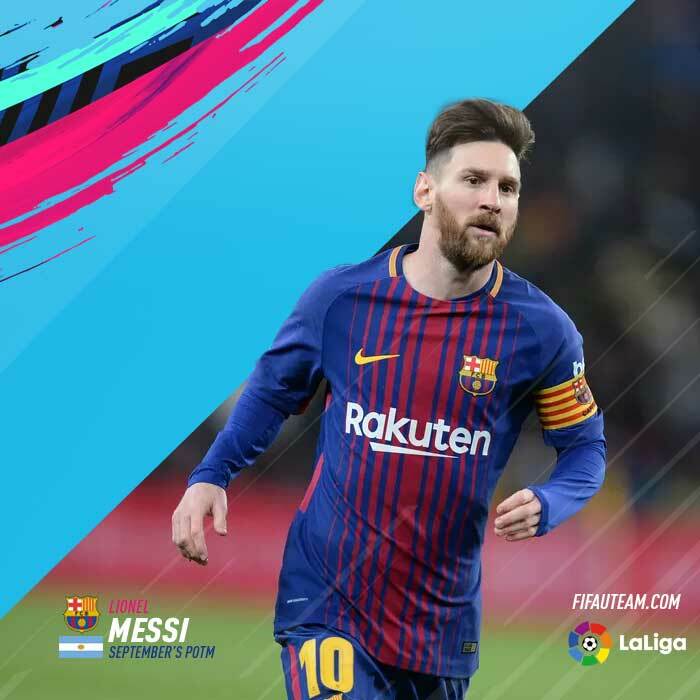 In this page you can find everything about the FIFA 19 LaLiga Player of the Month, including the contenders, nominees and winners of each month, their new FIFA 19 POTM cards and the respective squad building challenges. 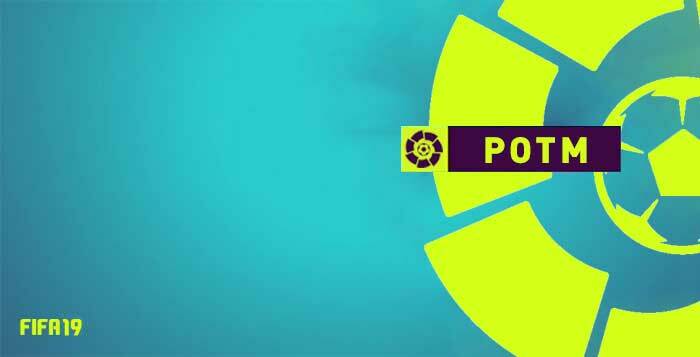 EA has aborted the idea of releasing LaLiga POTM items in FIFA 19. This page no longer will be updated. What is the FIFA 19 POTM? The official “Player of the Month” award is being introduced to the LaLiga Santander for the first time. The new award has been created by LaLiga in cooperation with its official licence partner, EA SPORTS FIFA 19. The winner receives a FIFA 19 POTM card with boosted stats. Usually, EA also releases a new squad building challenge around the player of the month. In this page you can check all the POTM nominees, the winners, the SBCs, the release dates and the new FIFA 19 cards. The Argentine scoops the first prize of the 2018/19 season after an impressive start to the campaign which saw his side go top of the standings. Barça’s number 10 scored three of his six goals in LaLiga Santander. He scored FC Barcelona’s opener and ended up with a brace in the 8-2 triumph against SD Huesca. He also scored his side’s first in the 2-2 draw with Girona FC. Added to his goals he provided four assists. Any update on release dates for La Liga POTM or SBCs ? Why on earth would EA not release any La Liga items?! it‘s a shame!! they predict potm la liga and release nothing?? what reason for? i allready bought the staff for it..
thats disrespectfull against every customer!! When its expected to have a first La Liga POTM card in FUT? To be honest, we have no idea if they will be released. Everything was ready to release the first card but now it looks that EA may have other plans. Why are they not bringing a messi POTM card out? Maybe because they were late and didn’t open the poll to vote. Does this mean that there won’t be a card at all for messi or it will be released in Nov?? when it will be release? Is THIS officially enough to you? This is disrespectful to us. We work hard to bring fresh news and detailed guides to you. If you don’t believe, just google or find someone that have visited the website when it was live. It is a dead link now, but not when we posted. Wil there also be a serie a player of the month? Thnx for al the great uploads !! Unfortunately, they probably will not release it.